J.R. AUTO OIL SEALS (PW) SDN. BHD. 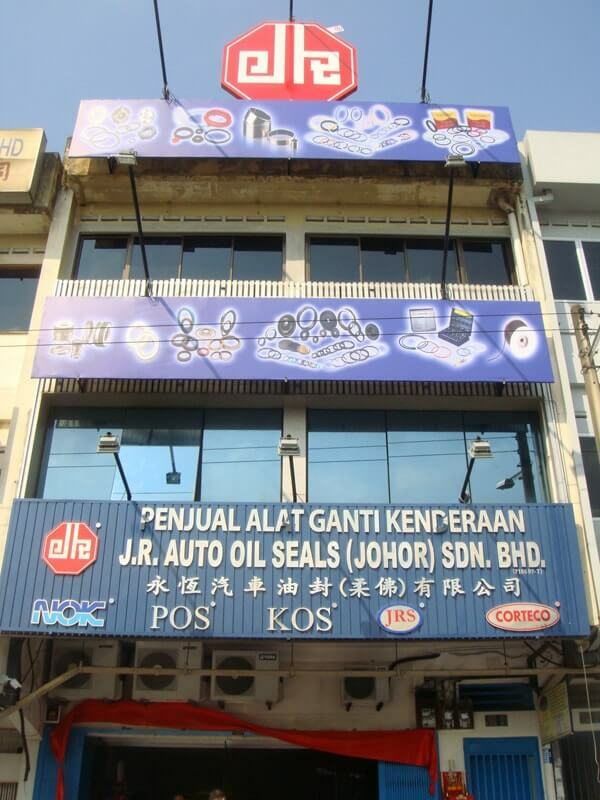 J.R. AUTO OIL SEALS (JOHOR) SDN. BHD. 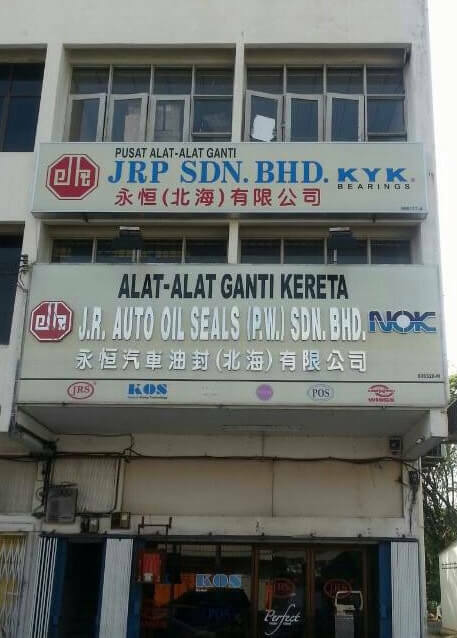 J.R. OIL SEALS (IPOH) SDN. BHD. J.R. OIL SEALS (MELAKA) SDN. BHD. J.R. AUTO OIL SEALS SDN. BHD. Penang - A state in Malaysia, located on the northwest coast of Peninsular Malaysia. Highly urbanized and industrialized Penang is one of the most developed and economically important states in the country. J.R. Group has established J.R. Auto Oil Seals (PW) Sdn. Bhd. In Penang, during 2003, as the second branch of J.R. Group. J.R. Auto Oil Seals (PW) Sdn. Bhd. Is used to functioning as oil seals supplier in northwest coast of Peninsular Malaysia. Through the journey of establishment, we faced strong competitors in the area around. This competitiveness has produced the positive spirit among employees and management by embedding into the company culture as the backbone of business conduct. This is also reflecting the sense of duty and responsibility towards business partners. 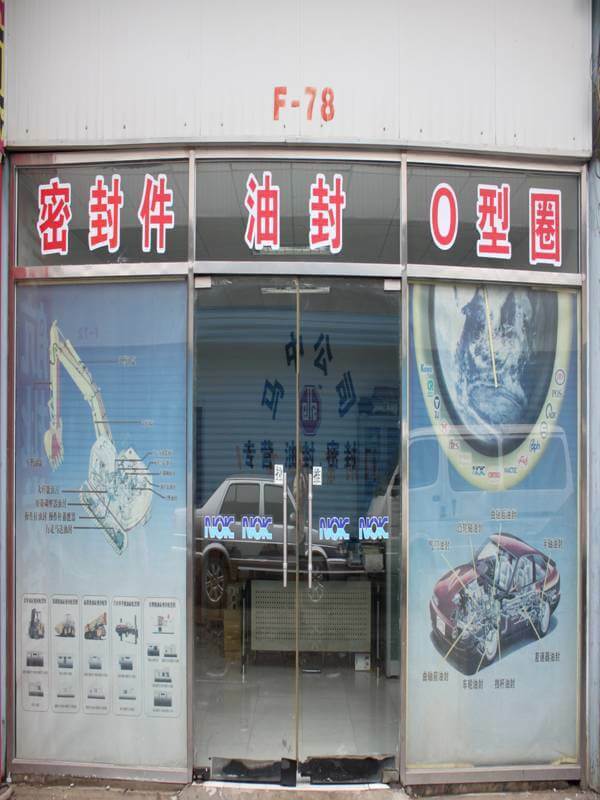 In August of 2009, in order to upgrade the satisfaction of customer, J.R. Auto Oil Seals (PW) Sdn. Bhd. Decided to move into a new service center. This has also reflected our growths in the journey of establishment. The world is challenging around. To continue to thrive as a business in beyond, we are getting ready for the future, with the best quality and services, to create a long term destination for our business. NO. 18, Jalan Bagan Baru Satu, Off Jalan Heng Choon Thian, 12000 Butterworth, Penang, Malaysia. NO. 24, Ground & First Floor, Jalan Bagan Baru Satu, Off Jalan Heng Choon Thian, 12000 Butterworth, Penang, Malaysia. While J.R. Group continues to be one of the best recognized oil seals suppliers in Malaysia, the company is leveraging this significant growth opportunity in this important market and located the fifth branch in Johor, southern portion of Peninsular Malaysia. 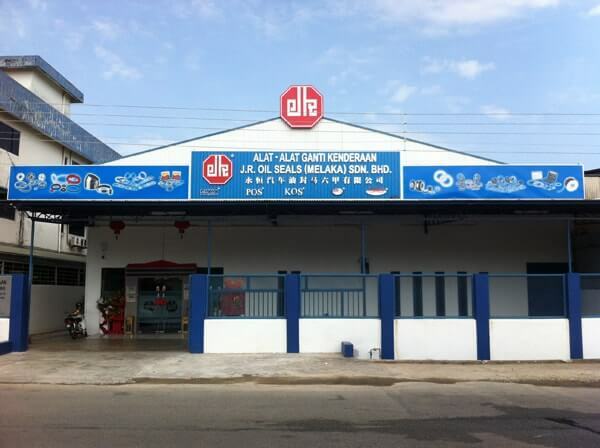 Through the development of technology, manpower and experiences owned by J.R. Group, J.R. Auto Oil Seals (Johor) Sdn. Bhd. Established in 2006, placed as the oil seals supplier in Johor area and southern portion of Peninsular Malaysia. With the vision of earning the respect and trust of consumers, we intent on developing market trends and brand strategy. We always improve our customer services by establishing credibility and concern for customers' issue. This structure provides us with yearly increased profit. The spirit of determination and core proposition are the main factors of us to create as a strong corporate. That's we serve as the framework to continue achieving sustainable, quality growth. Ipoh developed into one of Malaysia's main cities around 19th century, due to the implementation development plan by Malaysia government. Ipoh is then characterized into populous urban centre. In year 2007, J.R. Group decided to establish the sixth branch - J.R. Oil Seals (Ipoh) Sdn. Bhd. In Ipoh city to compete with the oil seals market in Ipoh area. J.R. Group processes improve to speed the market in Ipoh. However, we focused on team spirit during the journey of developing, and strengthened the marketplace. Besides, we manage to build long term partnership and work closely with customers by the world wide connection system. This real competitive advantage works to achieve shorter time to delivery products to customers. NO. 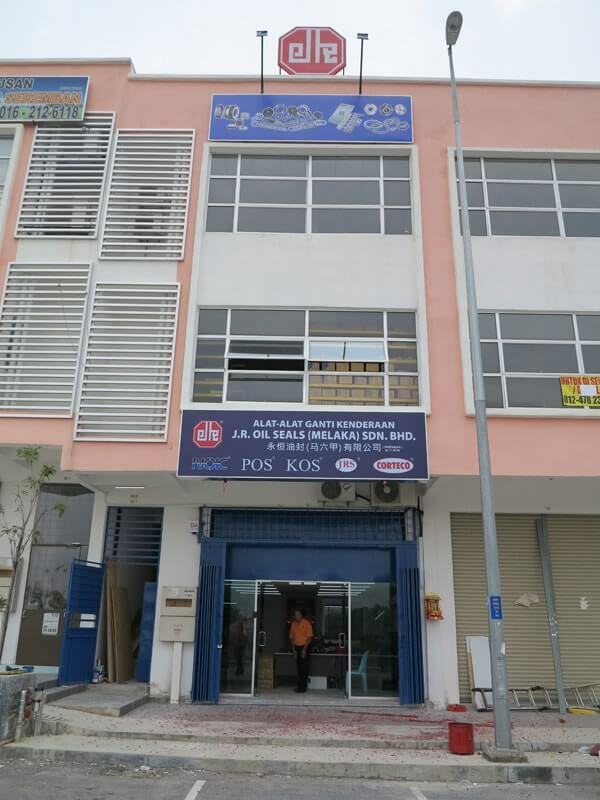 65, Jalan Bendahara, 31650 Ipoh, Perak, Malaysia. 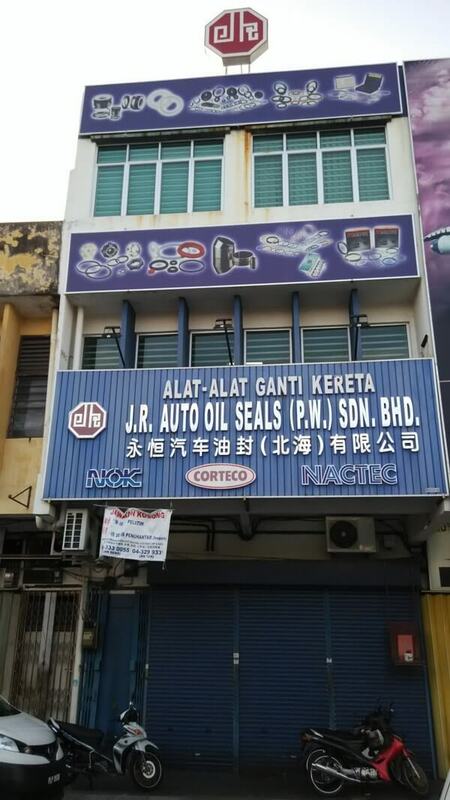 J.R. Oil Seals (Melaka) Sdn. Bhd. born and raise in year 2008, in Malacca city, Malaysia. Apart from tourism, Malacca is also a manufacturing center, ranging from high – tech weaponry to automotive components. Therefore, J.R. Group established the seventh branch in Malacca. To give valuable products into the hands of consumers and businesses, we are technically obsolete. We focus the excellent in quality, service and growth. With markets facing tougher as well as challenges everywhere, companies are focusing on the search for competitive advantage. While we are geared to find new ways to lead the race in this changing market place. NO. 41, Jalan Berkat 10, Taman Malim Jaya, 75250 Melaka, Malaysia. Driven by the mission of creating competitive value to operate sustainable market, we decided to implement strategic of restructuring the new form of company image. 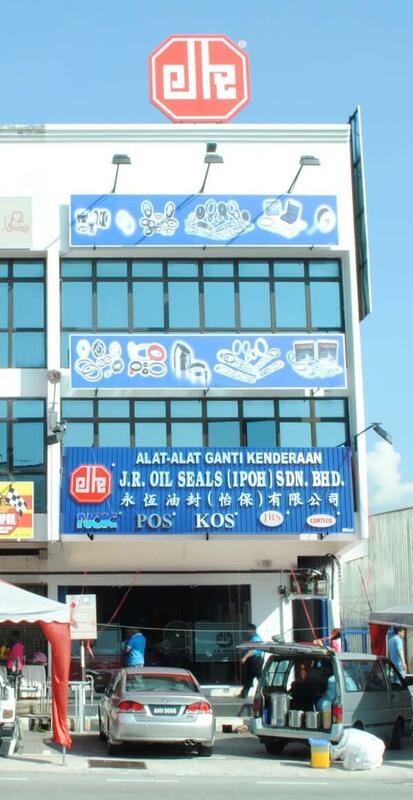 In 2015, J.R. Oil Seals (Melaka) Sdn. Bhd. (Seremban outlet) is founded in Seremban area. Seremban is expected to witness further development in the near future and serving as a commercial area for multinational companies, such as dhl, george kent, many well known and medium enterprise, industrial and food industry and so on. With these advantages, we have decided to establish J.R. Oil Seals (Melaka) Sdn. Bhd. (Seremban outlet), and to strive for sustainable oil seal market in Malaysia. Since our establishment, we are continue to enhancing our market value by paying focus on foreign countries oil seals markets' movement. We are yet looking forward for advanced products and serve as the framework to continue achieving sustainable, quality growth. NO. 53, Jalan Rahang Jaya 2, Pusat Perniagaan Rahang Jaya, 70100 Seremban, Negeri Sembilan, Malaysia. NO. A-2-0, Ground Floor, Block A2, Pusat Industrial Ringan Inanam, Jalan Sekolah Tunas Bakti, Off Batu 7, 88450 Kota Kinabalu, Sabah, Malaysia. Founded for more than 25 years, J.R. Group has continued to expand at a phenomenal rate. Back in 2003, J.R. Group took its first steps for the future by approaching for foreign market. The years passed and the J.R. Group network grew ever larger, gradually reaching out to new customers in Beijing, China. To meet the changing needs of global market, J.R. Group established the first foreign corporation in Chaoyang District, Beijing, China during 2003 - Beijing Malaysia – China Trading Co. Ltd.
We expanded the market and centralized the services mainly in Beijing, Shanghai and Guang Zhou. This consolidation enables the company to increase the flexibility of the business, improve service quality and leverage economies of scale and cost benefits of J.R. Group. Until today, our success has always been based around the excellent services to customers. It is also providing greater growth to local and global markets. C553, Jingkaiwanjia Jixiecheng, NO 99, Dongma-Road, Xiaohongmen Chaoyang Beijing, China.